ALDI parking charges are excessive? ALDI have been the supermarket success of the last 10 years and alongside Lidl have ‘eaten’ into the market share of the ‘big four’ supermarkets – Tesco, Asda, Sainsbury’s and Morrisons. ALDI have gained at the expense of these lumbering supermarket giants by a combination of factors. They have tended to open up in areas where rents are low and taken advantage of the many closures on the high street – the low overheads (including a minimal staffing levels) have meant they can pass on big savings to customers. They also stock a restricted range of products so whereas you can probably find over 200 types of shampoo in a large Sainsbury’s store, you might find about four brands in an ALDI! This allows the company to purchase in serious quantities and negotiate big discounts to pass on to consumers. 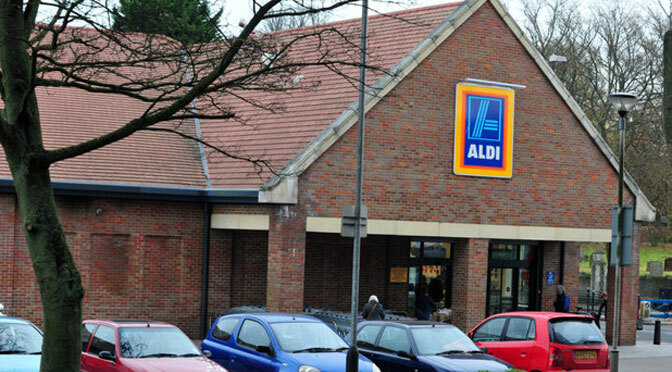 An increasing number of ALDI customers are experiencing a less attractive aspect of their business model – namely the willingness to slap £70+ parking notices on customers who exceed the time limit in the car parks controlled by them. To be fair to ALDI they are not alone in this practice – many supermarkets and DIY stores also impose very high charges for a small amount of overstay time. What ALDI fail to realise is that by having just two staff on the checkouts at busy times and a general dearth of staff to assist with customer enquiries, can result in serious amounts of time being added to the whole shopping experience. So all the benefit from ALDI’s low pricing (and low overheads) can be wiped out many, many times over when you get an excessive parking fine to pay. One option is of course to contest the fine – an article on The Workplace Depot website goes into more detail on how you can contest parking charges as well as also citing ALDI and its £70 penalty charges!